Hotel de Normandie, Lyon, Francja : Rezerwuj teraz! You will have a reception desk open round the clock at your disposal where you can safely leave your luggage. The young and dynamic staff will be ready to help you to make your stay as pleasant as can be and they will be able to give you some advice on essential places to visit in Lyon. 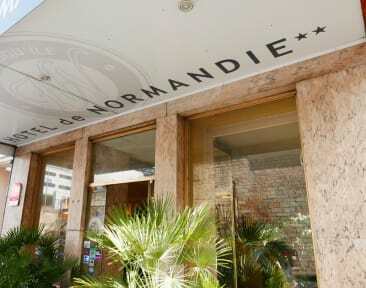 The Hotel de Normandie is conveniently located, a few steps from the Perrache TGV railway station and 100 meters away from any public transportation, on Lyon’s presqu’île, between the Rhône and Saône rivers. All of the 39 rooms of the Hotel de Normandie feature a bathroom and a TV set. An elevator is available for your convenience. Enjoy the comfort of our hotel; you will find 39 rooms, with queen-size or twin beds and triple rooms equipped with high quality beds with duvets, Large Flat Screen TVS with and free Wi-Fi access. - Standard Room with one single bed. - Standard Room with one double bed. - Standard Triple Room with one double bed and one single bed. 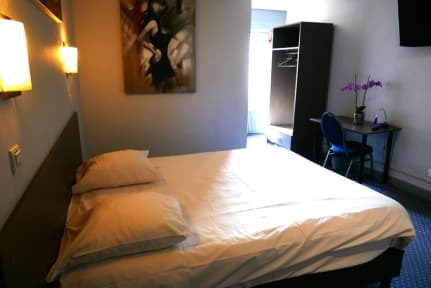 - Standard Room with two single beds. A continental breakfast will be served every morning between 6.30 a.m. and 11 a.m. You can enjoy it comfortably in your room. You will be able to relax by reading a complimentary newspaper or by using the free WiFi available in the lobby of the hotel as well as in your room.